Landslide dams are a common type of river disturbance in tectonically active mountain belts with narrow and steep valleys. Here we present an unprecedented inventory of 828 landslide dams triggered by the 2008 Wenchuan earthquake, China. Of the 828 landslide dams, 501 completely dammed the rivers, while the others only caused partial damming. The spatial distribution of landslide dams was similar to that of the total landslide distribution, with landslide dams being most abundant in the steep watersheds of the hanging wall of the Yingxiu-Beichuan Thrust Fault, and in the northeastern part of the strike-slip fault near Qingchuan. 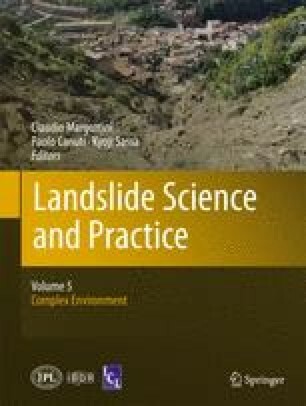 We analyzed the relation between landslide dam distribution and a series of seismic, topographic, geological, and hydrological factors. This research was carried out under the collaboration agreement between the State Key Laboratory on Geohazards Prevention (Chengdu University of Technology) and the United Nations University – ITC School for Disaster Geo-Information Management, University of Twente, the Netherlands. It was financially supported by the National Basic Research Program “973” Project of the Ministry of Science and Technology of the People’s Republic of China (2008CB425801). The authors acknowledge Dr. Oliver Korup for his valuable suggestions. We appreciate that the Japan Aerospace Exploration Agency (JAXA), GeoEye foundation, and Indian Space Research Organisation (ISRO) for providing the data for this research.